One of the most widespread news of the fall was the fact that Samsung’s Galaxy Note 7 had a tendency to overheat and burn users. Sometimes it even burnt cars and caused other material damages too. This way, its main competitor, the iPhone 7 only had to stay cool and do almost nothing in order to be considered the better handset. Up until now, it seemed that the Apple device managed to do a great job at this, but now it seems that maybe we were mistaken. 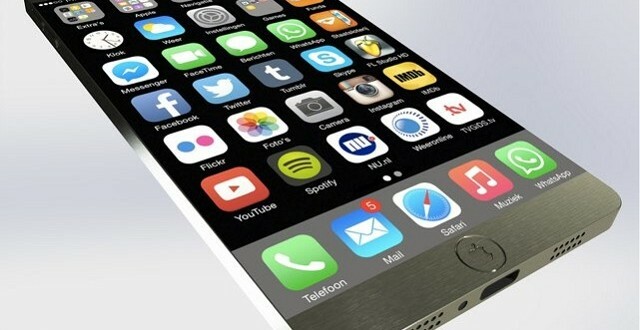 As it turns out, the latest iPhone also overheats and causes trouble. 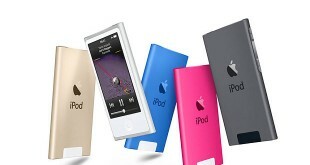 According to www.news.com.au, Melanie Tan Pelaez, a mom-to-be was the first reported victim of the smartphone. 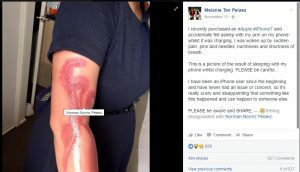 The woman fell asleep while watching movies on her handset and woke up to a second degree burn on her forearm. After a trip to the hospital, the diagnosis was quite clear: the burn was caused by Pelaez’s smartphone that overheated while charging. At least, the form of the scar suggested that this was the case. However, when the mom-to-be took her phone back to an Apple store, the staff there seemed to be reluctant to believe that this kind of damage could be caused by their device. Even though at first the company seemed to be quite certain that the smartphone couldn’t have caused the burn, they later announced Pelaez that they would send the device to a senior technician in California for testing They also offered a replacement iPhone 7 to the burnt customer, who respectfully declined the offer. Apple doesn’t seem to try to quickly sweep the story under the rug, given the fact that they confirmed to News.com.au that they are working on sorting things out with the mom-to-be. Even though the iPhone 7’s overheating issue is far from being as serious as the one of the Galaxy Note 7, it’s good to keep in mind that this handset can also cause some serious damages. Hopefully, this matter won’t get out of hand as it happened with Samsung’s flagship device. Previous Dead Rising 4: Too many changes?